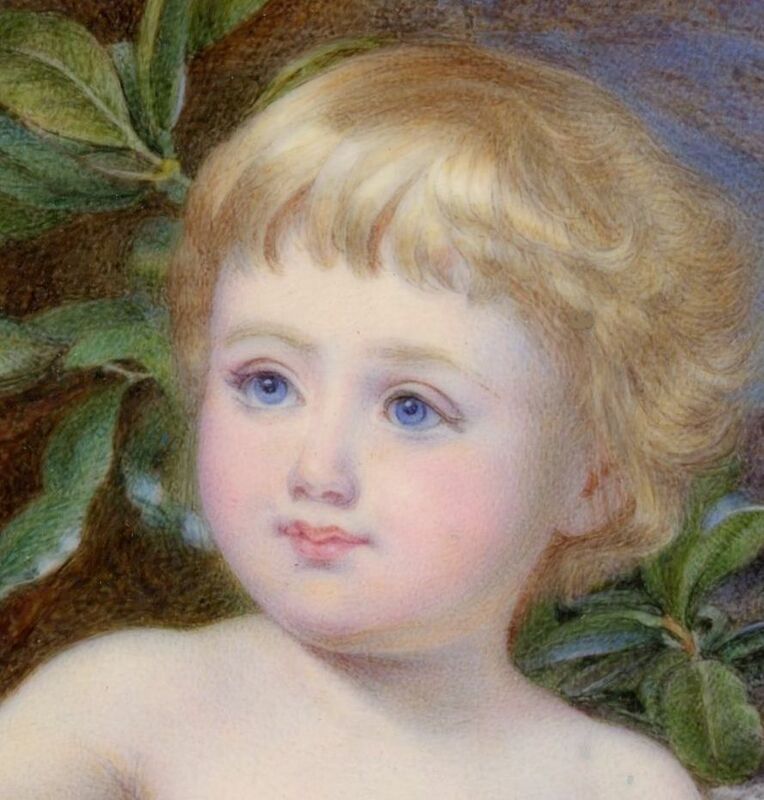 Mabel Elizabeth Ponsonby, with her cherubic cheeks and cornflower blue eyes, was two months away from her second birthday when this portrait of her was painted in January 1885. Set in a garden, she has been given a coral necklace to hold her attention long enough for the artist to capture her likeness. 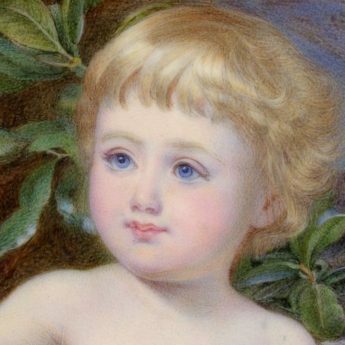 Mabel was born in April 1883 and was the eldest child of Louis George de Hale Ponsonby and Elizabeth Susan Leyborne-Popham. 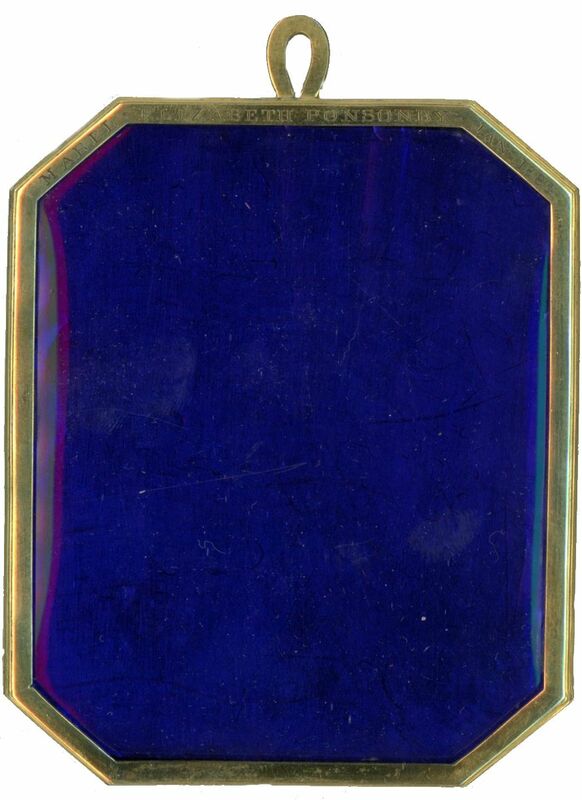 Sadly her father died young of typhoid fever in 1887; her mother did not re-marry until 1899. Mabel went on to marry Lt.-Col. Douglas Stewart in 1907. Sadly Mabel died in 1913 after just four years of married life; five years later Douglas married Mabel’s younger sister Eileen Cecilia. 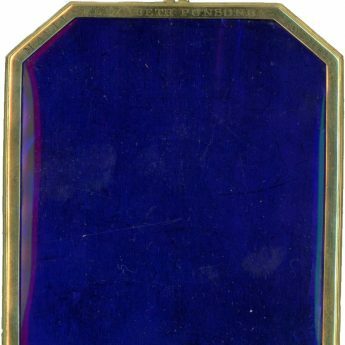 Rectangular in shape with canted corners, the portrait resides in a gilt metal frame, the reverse set with blue glass and engraved around the top edge with the sitter’s name and dated Jan 1885. 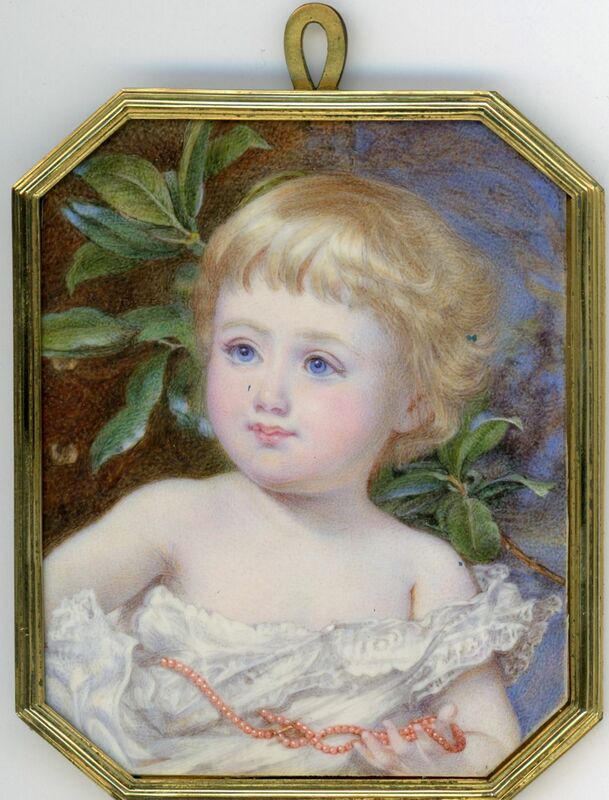 Born in Horncastle, Annie Dixon (1817-1901) was taught miniature painting by Mrs Dalton (sister to the well-known miniaturist Sir William Charles Ross). She exhibited annually at the Royal Academy and had a distinguished clientele that included Royal commissions. Her obituary, published in the Manchester Courier, remarked that she worked “with untiring and loving industry, her talent being regarded by herself as a sacred gift”. She had a “remarkable vivacity and brilliancy of conversation” as well as a “charming and attractive” personality.